We are often asked what a typical day at Camp Kirby looks like. The simple answer is that there is no typical day. This short video gives you an idea of what a Thursday at Camp could look like. 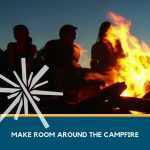 Why a Camp Fire Camp? Camp Fire has always recognized that curious youth exploring the world needs a secure place to grow up. And since 1910 we’ve provided that place, through in-school programs, after-school programs, and, last but certainly not least, Camp Kirby. Camp Fire believes when youth get the chance to be outdoors, to work with others in community, and learn to respect nature, they also learn self-awareness and responsibility. We’re proud of the role we have played—and continue to play—in guiding young lives to an appreciation of their own lives and the world we all live in. Camp Kirby provides a magical summer with programs for grades 1 – 12 including: archery, waterfront activities, arts & crafts, 40-foot climbing tower, hiking trails, and much more. The camp has 47 acres of forest, grasslands and beach that spread 1 1/2 miles along Padilla Bay. Furthermore, parents can rest easy knowing that Camp Kirby is ACA accredited (What does that mean? Click here to learn more). There is so much competition for our children’s time in the summer — sports practice, summer school, and well-deserved vacations, to mention a few. But don’t forget about summer camp! Summer camp is still on the list, and it’s truly a gift. If our society ever needed future leaders who understood the intricacies of living in a community, having tolerance, and just being out in nature — that time is now. 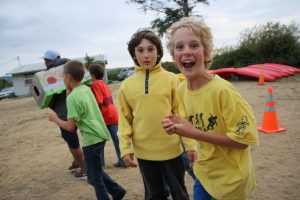 What better way to immerse your child in a caring community and develop their individuality by sending them to camp? The goals of the Camp Kirby program are relatively straightforward: each child has fun, learns new skills (both social and instrumental), faces and (whenever possible) successfully meets challenges, and leaves camp with a sense of accomplishment and good feeling about themselves. Gift cards for Day and Resident Camp 2019 are available NOW! Click here to order! Day Camp 2019: Day Camp will be held June 24-28, 2019. Register here beginning January 2nd, 2019. Resident Camp 2019: Week long Resident Camp sessions will be held Sunday through Saturday beginning June 30, 2018. Register here beginning January 2nd, 2019.